It’s been said that if your hormones are out of balance, your life can feel out of balance. This may especially feel true when it comes to a women’s health condition on the rise that is caused by hormonal imbalances. Obstetrician gynecologist, Jamie Ramsey, MD, tells us what she knows about polycystic ovarian syndrome (PCOS). As the obesity crisis continues to escalate in America, there is another emerging threat to women’s health and their ability to have children: PCOS. 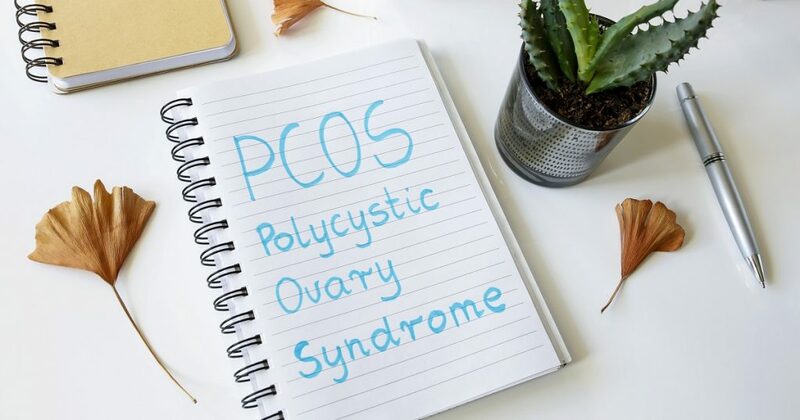 PCOS is a hormonal imbalance often brought on by obesity, although not always, and increases a woman’s risk of Type 2 diabetes and cardiovascular disease, as well as infertility and uterine cancer. The prevalence of PCOS is increasing. It is thought to be caused by genetic and environmental factors that combine to cause an imbalance in a woman’s level of circulating hormones, especially testosterone. It is caused by a genetic predisposition coupled with an environmental trigger, such as obesity. However, women at a normal weight can also have PCOS. People are more at risk for PCOS if their family members are obese, have diabetes or have a history of PCOS. In studies of twins, there is a 70 percent chance that someone will develop PCOS if their sibling has it. As Americans pass on obesity from generation to generation, we are starting to see epigenetic (nongenetic influences) changes in our population that increases the likelihood someone will develop PCOS. Excessive prenatal weight gain, diabetes in pregnancy or maternal obesity increase the likelihood that a woman’s offspring will later develop PCOS. Excess caloric intake and a diet high in simple carbohydrates increase the release of insulin from the pancreas. Eventually the body becomes resistant to these high levels of insulin so the blood glucose rises, which can lead to Type 2 diabetes. These high blood insulin levels then lead to insulin resistance, causing the insulin to store sugars as fat, which leads to obesity. Hyperinsulinism and insulin resistance are at the root of PCOS. The high insulin levels cause the ovary to release more testosterone. Testosterone is usually present in very low levels in females. Higher-than-normal testosterone levels in females prevent normal ovulatory function, which can lead to infertility. It also causes excessive hair growth in a male pattern, increased facial hair, body hair and even male-pattern baldness. PCOS can interrupt normal ovulation, which causes the menstrual cycle to become irregular and often much heavier. This also can lead to thickening of the menstrual lining in the uterus or even uterine cancer if the process continues without treatment. The primary treatment for PCOS is weight loss and a balanced eating regimen. A lower carbohydrate diet with weight loss decreases insulin levels in the blood and helps reverse the hormonal changes that cause PCOS. Usually, a 10 percent weight loss is enough to bring back normal ovulatory function and regul- te the menstrual cycle. Other treatments include birth control pills, which also regulate the cycle and decrease testosterone levels that can provide protection against the development of endometrial cancer. Other treatments for PCOS include medications to lower testosterone levels, such as spironolactone or metformin to improve insulin sensitivity. Women can help break the epigenetic passage of PCOS to their offspring by limiting weight gain during pregnancy to 25-35 pounds for most women and 15-25 pounds for overweight mothers. They can also help protect their offspring by eating a healthy, balanced diet during pregnancy and limiting excessive processed carbohydrate intake and drinks containing sugar such as sodas. If you believe you may have PCOS, it is important to discuss this with your physician. Jamie L. Ramsey, MD, FAACOG, practices obstetrics and gynecology in Brevard, North Carolina. She and her partner, Brian Barrow, MD, are accepting new patients. For an appointment, call 828-884-8860. All types of insurance accepted.